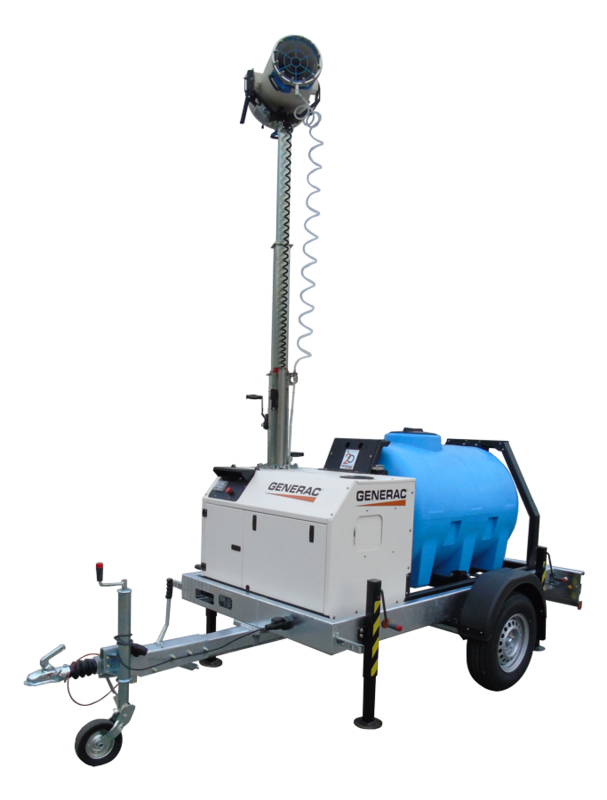 The DF 3000 MPT (Mobile Power Tank) is a independent dust control unit equipped with a fog cannon installed on a manual telescopic mast, a plastic water tank, a power generating set and an optional road trailer. A perfect solution for small to medium sized working areas where water and energy are not available. Fog cannon with stainless steel crown equipped with 12 spray nozzles for water nebulizing.